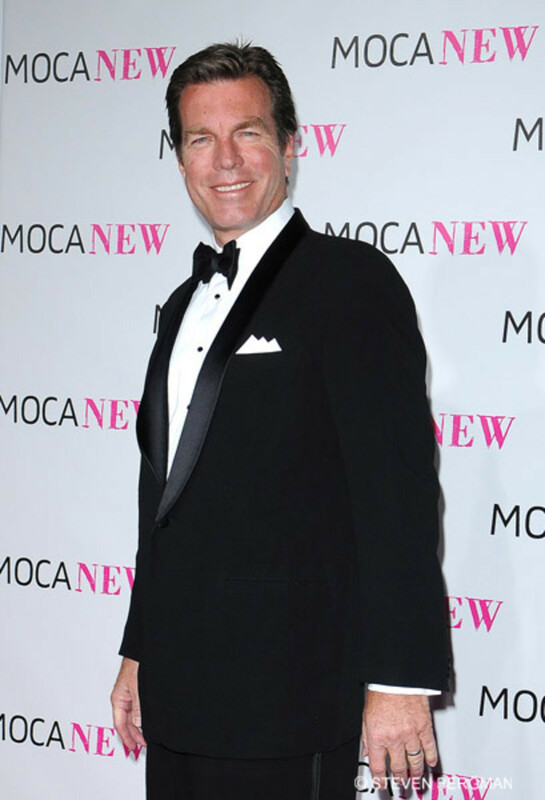 Peter Bergman took a trip down memory lane with On Air On Soaps&apos;Michael Fairman to commemorate his 20 years as Smilin&apos; Jack Abbott and reveals which daytime ladies help facilitate his move to Genoa City. MICHAEL: Right. So you could make this your own. Do you remember the events that got you to this coveted role in Genoa City? PETER: My job at All My Children came to a sudden end. I think everyone was as surprised as I was. The best monitor of that is the fact that every soap magazine had me on the cover that week saying, “OMG! OMG! 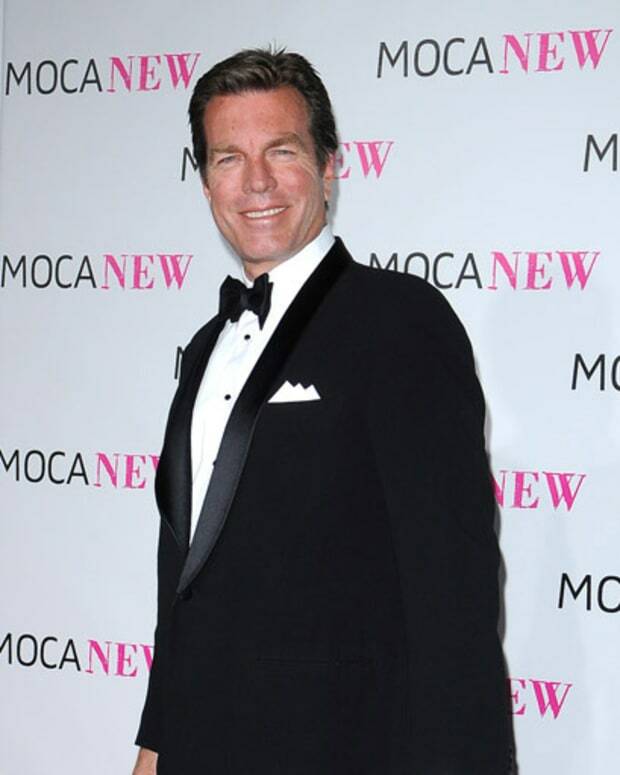 All My Children let Peter Bergman go!” Now, Melody Thomas Scott (Nikki, Y&R) was traveling with her husband Ed Scott, who was our executive producer at the time, in Canada. She pulled out an issue of Soap Opera Digest with me on the cover of it saying, “We let Peter Bergman go,” and she thought, “We have been looking for a Jack Abbott. 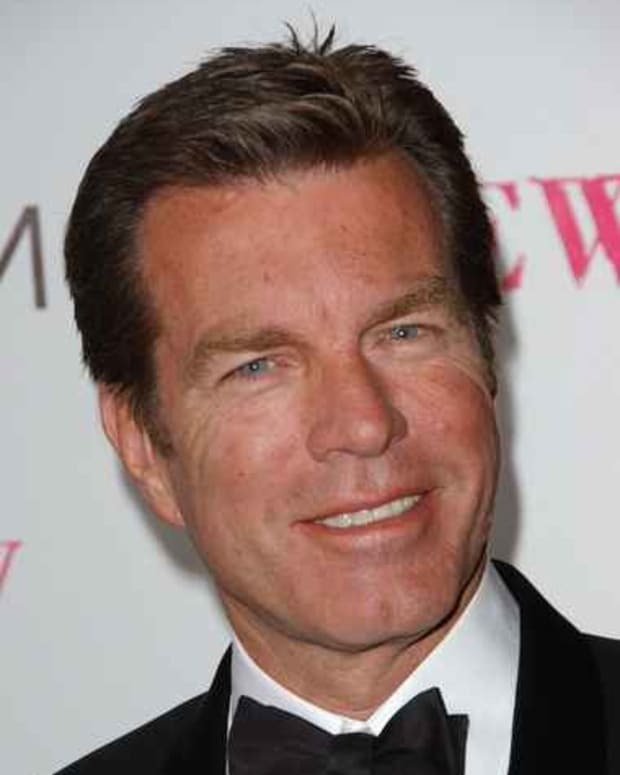 This is Jack Abbott,” she said to Ed. So Ed came back home and the first I heard of it was through my agent. He said, “We just heard from Y&R and they wanted to know how tall you are.” And I said, “That is insane! Don’t even return that call. What do you mean how tall I am? They can figure that out.” It really bothered me. Then they called another time and asked if I would be OK replacing someone. I was on All My Children and replacing someone was shear death, and it never worked on All My Children. We have never had a recast that really sustained and frankly, I was just finishing a soap and my wife was eight months pregnant. I thought, “No, I do not want to do this!” Y&R called a third time and it kind of coincided with some bad financial news I got. I thought I should at least go out to LA and audition for this thing. So, leaving my wife behind, her due date was a week away, I thought, it would be just my luck. I will be in Los Angeles where I don’t want to live, and replacing somebody which I don’t want to do, and it’s on a soap, and I don’t know if I want to do another one. So, I audition on a Friday, and they said they were going to get back to me within the next two weeks. On Monday, Ed Scott called to say I got the job. Then Maryellen and I sat there and literally wept. We loved New York! We just bought the apartment next door. We were going to adjoin the two as we were expecting a baby any minute and this was going to be cataclysmic in our lives. It was all the wrong things. So the answer to your question is; I was dragged out kicking and screaming to the best thing that ever happened to me. MICHAEL: Once you finally got here to Y&R, and you were figuring your way through the character of Jack Abbott, was there a point where you knew, “This is such an amazing role”? PETER: Everyone told me, but the person who told me the most was Debbi Morgan, who plays Angie on All My Children. Debbi caught wind that I was auditioning for the role on my last day at AMC, and the following morning I was heading to Los Angeles. I told her, and only her and I did not know she was a mad Y&R fan. She said, “OMG! Peter this is one of those roles. This is Erica on AMC. This is Viki on OLTL, and this is a giant role, Peter.” So she convinced me that, “Well, maybe this will be a good thing.” I got the job and I was grateful for it, but once I got here, every prop guy, every camera man knew more about Jack Abbott than I did. It was a lonely first few weeks. I knew I’ve got to make it my own. The assumption was we bring all those Cliff Warner fans with us to Y&R, and all the people who were used to Terry Lester would eventually be OK with me in the role. Well, oddly enough the people who were used to Terry Lester got used to me pretty quickly. It took about six months and they forgot what he looked like. But the people from All My Children, OMG, it was two to three years later! They were saying, “He used to be so nice….” It took a long time to bring them around.